Back in September 2017, MillerCoors enthusiastically announced the launch of Two Hats, “a new beer aimed at recruiting tough-to-reach 21- to 24-year-olds.” Ah yes, I thought when I saw that news, millennial beer. (You might counter: Oh yeah, it must be super hard to get 21- to 24-year-olds to drink beer, but actually, data shows they have a preference for liquor or wine over beer these days.) 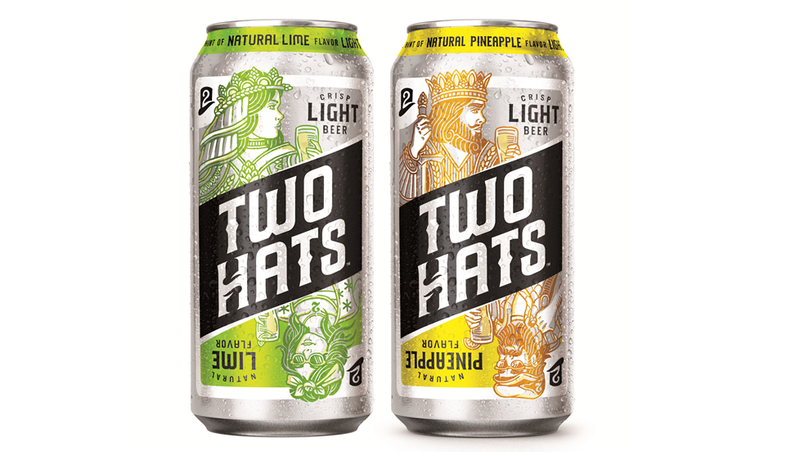 Two Hats touted itself as a line of light beers with fruit flavors like lime and pineapple, “delivering on those classic light beer flavors with the addition of subtle fruit flavors” at “an affordable price point.” Now, just six months after hitting shelves, Two Hats bites the dust. That’s a pretty short life span, even in the fickle beer world. What went wrong? MillerCoors doesn’t explicitly say, of course. The Two Hats obituary explains the beer company wants to put more of its effort and dollars behind Coors Light, Miller Lite, and Mexican import Sol. That makes sense: Mexican beer is one of the few pieces of the beer world that’s growing fast (around 8 percent growth annually between 2009 and 2016, according to Beer Institute data), and light beer probably isn’t going away for good any time soon. Two Hats was part of an overall profit slump for MillerCoors recently, and presumably wasn’t selling like the company had hoped. So, as The Takeout’s resident millennial beer expert, I’m going to play armchair quarterback as to why Two Hats failed. First, it didn’t taste very good (despite its highly inspired “good, cheap beer” tagline). MillerCoors sent me a few cans of it back when the brand launched, and I had a hard time finding anything to like about the artificial-tasting fruit flavor that reminded me of a melted Slurpee. Second, I anecdotally didn’t see a huge marketing push behind it. Were you aware of the existence of Two Hats? I don’t think many beer-drinkers were. But third and perhaps most importantly, there’s just a lot of competition out there for these precious young-millennial dollars. As the wine cooler craze, hard lemonade craze, and hard root beer craze demonstrate, barely-21-drinkers do tend to gravitate toward sweeter, flavored malt beverages. Perhaps Two Hats, despite its fruity sweetness, didn’t have enough of that novelty factor to convince the Snapchat crowd that it was different from any other fruit beer on increasingly crowded shelves. Beer companies looking for success with young drinkers either need to make a delicious beer that even older millennials (c’est moi) want to drink, or strike gold by discovering the next hard root beer. This 30-year-old really hopes its the former.